We have some exciting news to share with you today on the touring front, both here stateside and internationally! First, on May 7th we'll return to London for a headline show at Scala. Tickets are on sale NOW here. Our last performance in London sold out, so be sure to get your tickets early. On the domestic front, we've just announced a date in Austin, TX on May 2nd at Antone's. Tickets go on sale TOMORROW at 10am CT here. In addition to these shows, we've started to announce summer plans. We're quite pleased to be part of the stellar lineup at this year's Newport Folk Festival. We're performing on Sunday, July 29th. Click here to see the full lineup and get ticket info. And, as you know, we'll play a number of other festivals in June and July, including Bonnaroo, Grey Fox, Telluride Bluegrass, and RockyGrass. See our tour page for a full list of dates and ticket details. The spring tour is officially under way. Tickets are limited but still available for our West Coast dates in Portland, Seattle, San Francisco, Los Angeles, and Denver in the next two weeks. Thanks to those of you who have come out to see us or bought tickets already. Tonight's show in Chicago at Park West and tomorrow night's show in Minneapolis at Varsity Theater are both SOLD OUT! Our new album, Who's Feeling Young Now?, is available now! 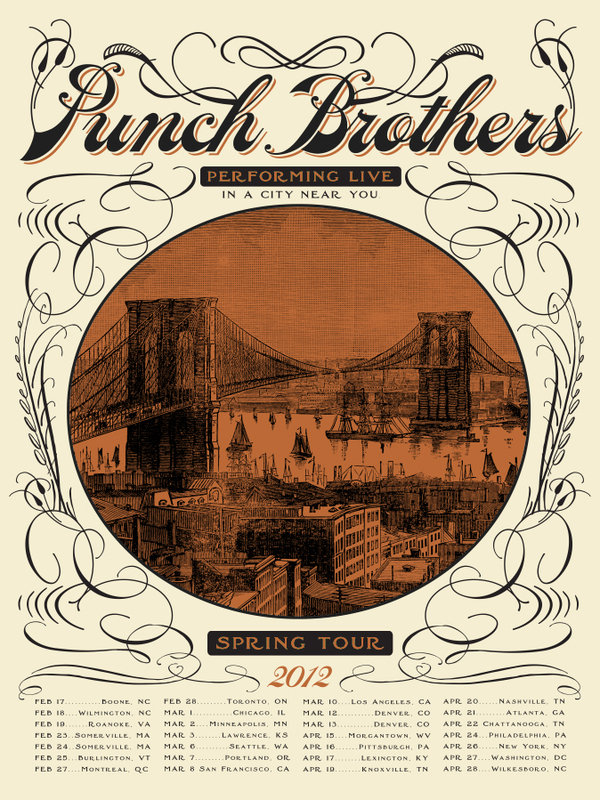 You can get it at punchbrothers.com, your local record store, at the merch stand at one of our shows, or on iTunes or Amazon. The vinyl edition of the album will be released on March 20th, but it's available to pre-order through punchbrothers.com and includes an instant digital download of the album, plus the custom 5-coaster set illustrated by the great Matthew Diffee and four LP-exclusive tracks ("Roses Blooming in the Dark," "Moonshiner," "Knock Me Down," and "Shh, Just Let Me Do This").